Why did/do you you go to school? Why do you think there are grades and exams and reviews in school? Why not just pick up a few books and start reading randomly? Why do you work at an organization with a structure? Why are the most successful organizations the ones with the best policies and strategies? Why not just walk out into the world and figure out some random way to make a living? Why do you practice the same movements over and over again? Why not just move your limbs the way you want to or draw some random colored lines and hope they make sense? Success doesn’t work that way. And a transformation from skilled to unskilled, fat to fit, weak to strong, or unhealthy to healthy doesn’t work that way either. Exercise is as any activity requiring physical effort, carried out especially to sustain or improve health and fitness. It is exercise for today – focused on the short-term. Training, on the other hand, is way more than that. Training is the act of learning, practicing, analyzing, monitoring and progressing per a plan that is designed taking into consideration the student’s current position in the relevant space and future goals. It involves careful instruction, self-reflection, structure, testing, commitment, and adherence. It is exercise with a purpose. It is important to understand that random acts of physical activity, though better than a carefully planned regimen of sitting around, eating junk, and doing virtually nothing, won’t take you far in acquiring skill. You need to evaluate your strengths and weaknesses. You need to learn to understand your body and it’s capacity for strength, agility, and flexibility. You need to practice movements that have a purpose. You need to strive to progress. You need to train. “In this world, if you start at the base of a mountain and travel far enough, you will find yourself on the other side at the base of the mountain again; you are still at the base of the mountain, but in a completely different place. This is the same for any path of study. You start at the beginning and struggle uphill. You go deeper and deeper into it until you find yourself on the other side with a heart of understanding. This is the way of all learning, and it is the only path to enlightenment. Understanding this, I do not hold back knowledge from my students because they have not trained long enough. Each person is different and understanding comes differently to each of us, so I try to gauge the student’s level of understanding and teach each one what he is ready for at that time. I do not like pledges or oaths of secrecy. There are no secrets. Knowledge is open to all, but few truly want it. There is no need to hide things; most people go out of their way to avoid the truth. Wondering If You’re Getting Any Health Benefits From Your Program? So Was I. 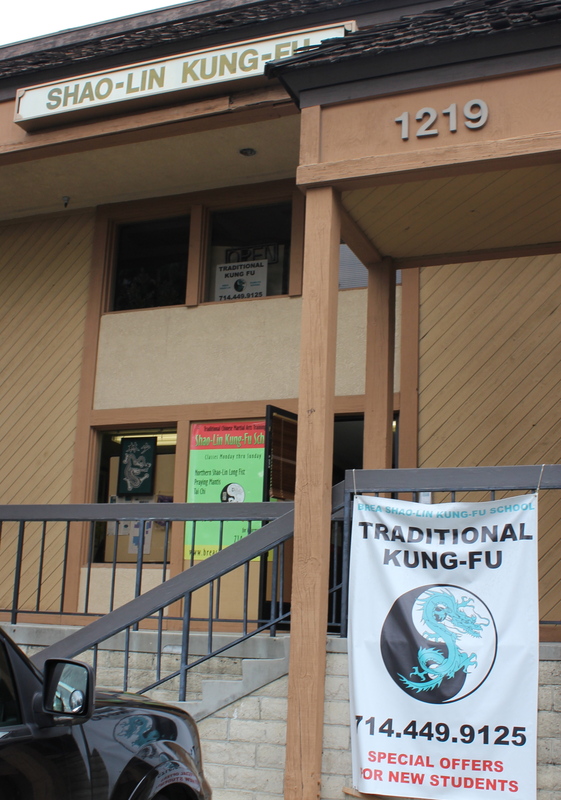 When I walked into the Shaolin Kung Fu School for the first time, I wasn’t thinking about my health. My aim was more about self-discovery. Could I develop some new qualities to even a mediocre level, let alone a higher sash level, when I was starting with no experience and no skill? Where would any balance, any flexibility, any technique, any mental focus really come from? These would certainly not spring out from my years of “training” as a black sash in the art of Couch Potato. The only qualities achieved from that program were my remote control thumb techniques and a well developed spare tire. Early on, I didn’t figure to achieve any health benefits, because I wasn’t sure I’d be around long. It seemed to take many weeks just to not fall over on a low stretch kick. Watching the more experienced students practice sometimes made me feel agonizingly slow and lacking in talent. The road to yellow sash seemed miles and miles long. Moving in inches was making for a long journey. I could tell this was going to be another story of the tortoise and the hare, where I was the tortoise once again. Like the tortoise, I knew I could be determined and consistent at least. However, I do believe I was sweating a lot more than a tortoise. Overall Cholesterol at 178, improved 15%. LDL’s (the “bad” cholesterol) at 113, improved 19%. Blood pressure at 104/70, improved by 19%/21%. Pulse rate at 52, down from 77 or 32%. I was excited, and felt this was nice improvement, especially for a tortoise. Maybe best of all, it reminded me that studying kung fu is not a competition with others, and certainly not a race. My first year of diligent effort had paid off nicely, even recognizing my own skill level and slow starting physical condition. I was competent in many basic techniques, and shown improvement in flexibility and balance. And surprise, I had achieved much improvement in an unexpected area, my health! The gentle movements help the body strengthen bone mass with zero joint damage and are lower impact than brisk walking. Burns nearly as many calories as downhill skiing and has many of the same benefits as low-impact aerobic exercise. Balance and coordination improvements that are nearly twice as effective as the best balance training exercises. Helps in letting go of nervous tension. This makes everything inside the body work better, which often makes the world around us seem better. The goal is balance, with a mindful of awareness of constant adjustment of posture; increasing grace, flexibility and an elongated form. As we age, it is tension that shortens our bodies more than gravity. Promotes stroke recovery due to soothing demands on left brain – right brain interaction as well as mind-body connection. Tones the muscles, increases breathing capacity, lowers stress levels, improves organ function, and corrects poor posture. All these things help the body maximize its self-healing potential. Requires the body to rotate about 95% thereby clearing the joints of calcium deposits and gently massages the internal organs to improve digestion. Swimming only rotates 65% of the body motions. Stimulates the liquid systems of the body to keep our joints flexible. The muscles seem to begin releasing their tight grip on the bones. This allows the spine to realign and reduces chronic pain. Slow standing movements massage the bottoms of the feet, stimulating all the acupuncture points through acupressure, thereby treating the whole body. Encourages stillness within so that the nervous system can begin to cleanse the accumulated toxins and clear the lymph glands. Anxiety creates lactic acid within our body and relaxation allows for tissue cleansing. An excellent way to increase strength and develop proper kicking form is to practice kicking very slowly – the slower you can do it, the harder it is. One way to develop this, and the best way for newer students, is to put one hand on a wall and practice your slow kick – thus taking much of the balance difficulty out of the equation. The kick could be a snap kick, heal kick, turn kick, or side kick for starters…. hook kick, cutting kick, or others can also be practiced for more advanced students. Be sure to begin each kick by bringing up your knee first. Then, depending on what kick it is, fully extend your leg as slowly as possible and move your torso accordingly. As slowly as the kick went out, re-bend the knee and bring your torso back to an upright position. This takes a great deal of body control and strength – both from your leg muscles and core of your body. To add even more difficulty, take your hand off the wall and do these kicks without supporting yourself. In addition to developing your ability to balance, this method requires even more strict attention to proper form. Just as when you’re balancing on the wall, you must initiate each kick by raising your knee first, extend the leg fully, re-bend the knee while bringing torso back to upright position, and step back into start position. This method of training is relatively difficult for people to do, typically for less limber practitioners who struggle with balance. Start small by only doing a few kicks and keeping it at a speed that’s manageable. Remember that proper form is more important than anything else. Should you feel tightness in your hip or leg muscles, spend time stretching those muscles. After practicing for a few weeks, add more kicks or simply keep the same number of kicks only do them more slowly. The ultimate end result of this practice is the ability to properly execute head height kicks and hold them at full extension without losing your balance. This requires a great deal of strength and flexibility, particularly in your legs and the benefits of this ability will certainly show in your sparring and forms. However, the ability to execute slow kicks with perfect form will translate into fast, sharp full speed kicks, which will prove quite useful in sparring.